“It was obviously life-changing for [my family],” McGrath said. McGrath knows this hospitality and charity is what helped her family in creating a lifetime journey of gratitude. “We were always mindful of giving back, as we knew how people helping us changed our lives,” she said, noting that while their Habitat house was being built, the McGraths would help alongside, making sandwiches for the workers and doing what they could. Finally settled in their new home, life began again for the family. One part that revisited was the karate bug in McGrath - although it hadn’t really left her from when she had trained five years earlier. “I watched a lot of action shows – Beetle Wars, Power Rangers and Transformers – and I just loved it all,” she remembered. 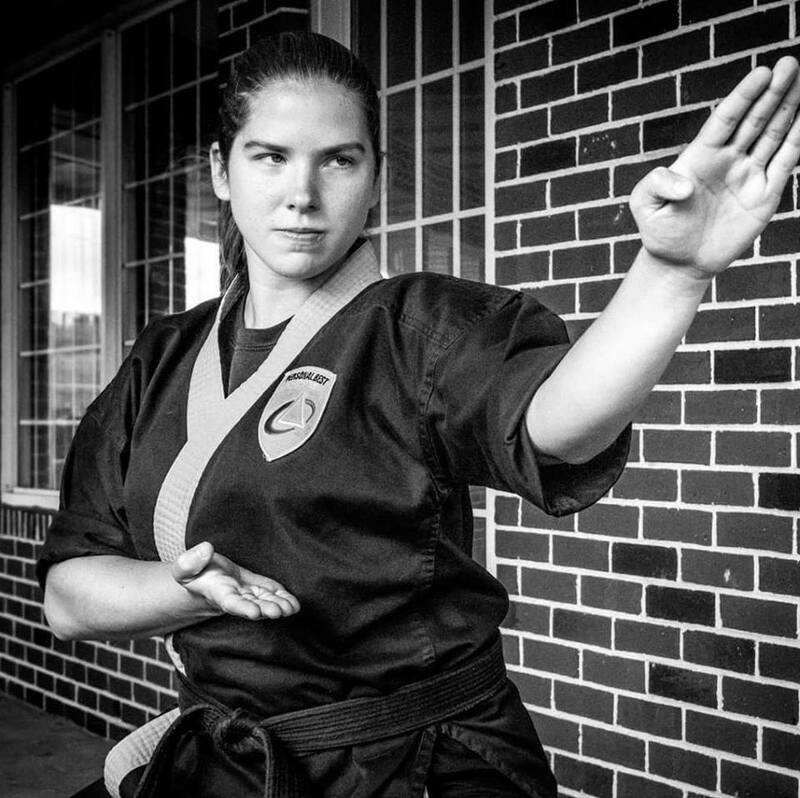 McGrath, who holds a 2nd Degree Black Belt, went through the ranks at Personal Best in Foxborough, and worked as STORM/SWAT and Assistant Instructor in Foxborough and Norton before settling in as Head Instructor at Personal Best Karate in Medfield in 2016. She has had many mentors throughout her karate journey, but one particular instructor is responsible for McGrath's turn towards teaching. The other aspect of character education that is significant to McGrath is teaching students to respect others, a throwback to her early teaching days and observing the high school students. “Teaching students to respect others no matter what – treat the janitor the same as the CEO – is the most important lesson that students need to walk away with,” affirmed McGrath. When she’s not at the karate school, you can find McGrath off-roading in her Jeep, toiling around on her motorcycle, and camping under the stars. “I’m definitely an outdoors type,” she acknowledged. “But I also like sharing with people my story – about being homeless. People have this vision that if you’re homeless you are a drunk living in a box in the street. That’s not how it is. When I was homeless, people helped me out. When I have the opportunity to help others, I do,” she said simply. McGrath is obviously no stranger to working against challenges - even as she got older. Having hip surgery at 19-years-old and then shoulder surgery at 22, McGrath is always working towards that next goal – her goal right now is to buy a house. And for her students? “I am always reminding my students to ask themselves, ‘How can I make a difference?’,” she stated. “What can you do that will help others in small ways as well as bigger ways. Holding the door open, picking up trash, helping people carry things in – being charitable every day.